Drs. 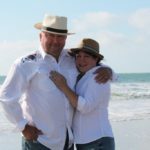 Dale and Gina Pittenger, D.D.S. Welcome to Karns Family Dentistry! Drs. Dale and Gina Pittenger are ecstatic to have acquired Karns Family Dentistry, the original and longest operating dental office in the Karns community. After 21 years of clinical experience, Dale seized the opportunity to return home to practice dentistry in his beloved East Tennessee.Dale and Gina understand the importance of developing relationships with their patients so they may better understand their desires and expectations. Offering a wide swath of dental services, they truly understand the necessity of being good listeners in order to help the patient choose the treatment that is appropriate for them. They are excited to practice conservative dentistry with modern technology to deliver quality care.